iOS is one of the most secure mobile operating system out there however every now and then we come across some major bug in the software that causes severe threat to user’s privacy and device’s security. Now a new and pretty major security flaw has been discovered in iOS that is at least working on iOS 7 and iPhone 5s. The security flaw in question allows anyone to disable Find My iPhone as well as delete owner’s iCloud without entering the password. The fact that this makes Apple’s Find My iPhone dysfunctional and easily allows anyone to disable the service poses serious questions about the service and whether users should rely on iCloud and its products in case they lose their device. For this security flaw no coding or cracking is required and anyone who has basic knowledge of how iOS works can take advantage of it. With this bug not only anyone can remove an iCloud account from an iOS device but he or she can also add a new phone enabling Find My iPhone for the account as well. In the video below the Youtube user has demonstrated how this trick works. 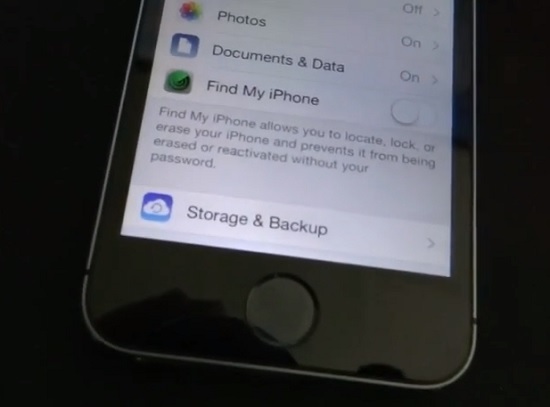 He has also shown us how this vulnerability affects the working of Find My iPhone. Have a look. Due to seriousness of this vulnerability we really hope that a fix from Apple is coming soon. Until then make sure you don’t lose your iPhone, iPad or iPod touch otherwise you won’t be able to track it.